You can place your orders with TCMzone online any time. All orders placed before 3:30pm MST, will ship same day M-F. You can also place orders by phone at 888-788-8086 or (480) 968-8880, M-F, 8:30am-5:00pm PST, or email your orders to us at order@tcmzone.com. Drop Ship orders to patients are shipped UPS Ground (3-5 business days), unless otherwise requested by customer. Drop ship orders placed via phone, fax or email will incur a processing fee of $2.00 per order. Web orders do not incur this drop ship handling fee. We accept payment by MasterCard, Visa, Discover and American Express for orders placed via phone, web, fax or email. All mail orders must be accompanied by a check or money order. 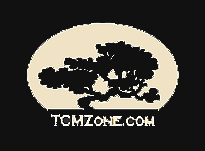 All brands sold by TCMzone are available for sale only to qualified license healthcare practitioners or students of Oriental Medicine and Acupuncture. You must supply us with a copy of your certification or license when setting up your account by phone, email fax or online. This excludes our Honso Select and TCMzone Select lines. If an item is out of stock, you will receive the available items on your order with the out of stock item listed on backorder. We will ship your backorder item as soon as it is available. You will only be charged for your backordered item when it is shipped. We accept most unopened products as a return for credit within 30 days. To be credited for a return, please call 888-788-8086 for a return authorization form; please note, the customer is responsible for any return shipping cost. All returns (except those that are due to an error on TCMzone’s part) are subject to a 20% restocking fee. No return accepted after 30 days. If you receive a package that has been damaged, save the original box and all contents and contact us immediately with invoice number. We will make every effort to remedy the situation as soon as possible. 5% off half case (6 boxes/bottles); 10% off case (12 boxes/bottles). Monday – Friday: 8:30 a.m. – 5:00 p.m. MT. TCMzone, LLC. is closed on several holidays throughout the year. Please contact customer service for details.